Bring some Adventure Bay fun to your child’s birthday party with our PAW Patrol Pull-String Pinata. 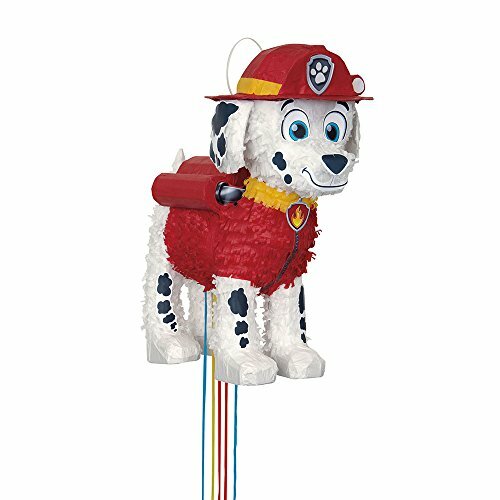 Designed to look just like Marshall the fire rescue dog, this string pinata is a fantastic party game and party decoration for any kid’s PAW Patrol birthday party. It’s also an exciting, yet safer alternative to the traditional pinata party game. To play, fill this Marshall Pinata with up to 2lbs of your own candy and PAW Patrol party favors, then let kids take turns finding the one string that will release the goodies. Because this pull pinata stays intact, your son or daughter can prop it on their bedroom dresser after the party. Shop more of our PAW Patrol themed party supplies to make your little one’s big day unforgettable.